Strength is the inner power to withstand whatever comes our way. Strength is our capacity to endure in the midst of tests and as we grow in strength we are able to tackle life’s challenges with courage and determination. 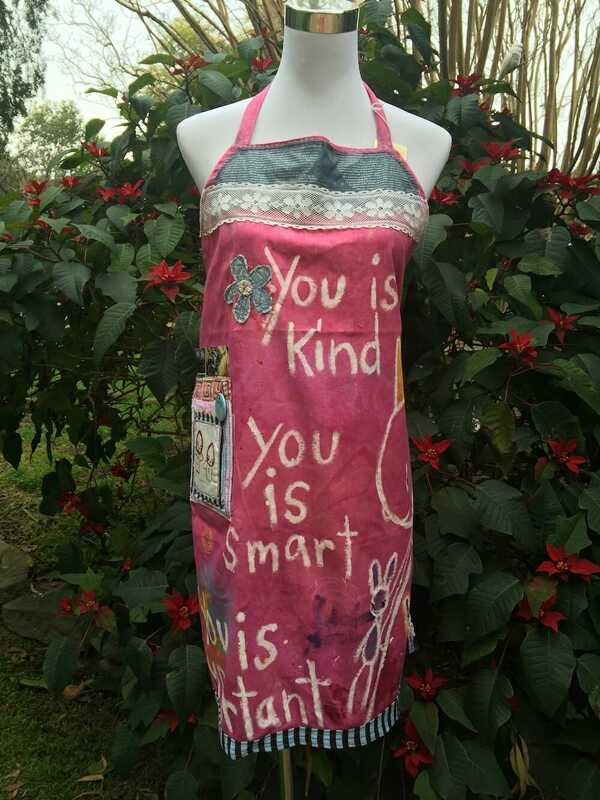 The theme for the 2018 Apron Project was borne from a comment made by a young boy who likened the aprons to super hero capes. Join us in 2018 in the fourth year of The Apron Project. Artists from across Australia and overseas will once again unite to create works of art on aprons. In the last three years over 100 artists have presented more than 200 aprons and raised much needed funds for the Hornsby Ku-ring-gai Women’s Shelter. Importantly they also raised awareness of the growing epidemic of Domestic Violence. The Hornsby Ku-ring-gai Women’s Shelter services women in crisis in the community and is currently also working with the State and Federal governments to better the living opportunities once women leave the shelter and attempt to restart their life. There have been more than 200 deaths by domestic violence since we started this project. Coming to a town near you … The 2018 Apron Project USA Showcase is planned for October in Connecticut at Talk Story and the official launch is scheduled at the end of November during White Ribbon Week in Sydney’s CBD. We are also thrilled to share that the aprons will be traveling to a number of country towns – from our North Coast to Broken Hill; Penrith to the northern beaches we will be hosting Apron and Awareness Events in towns across NSW. 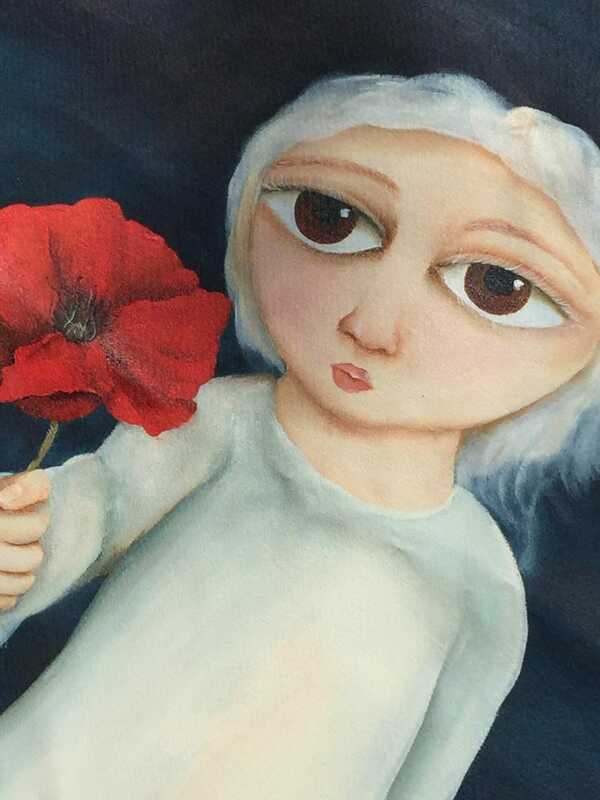 A Finalé and Auction will be held on March 8, 2019 – International Women’s Day. We hope you will join us at this special event. Artists creating an Apron to the 2018 Apron Project are asked to submit: An Artist’s Statement, Photo of themselves and Website/blog links. Details and images will be used on our website, the HKWS Facebook page and promotions of the project. Prior to mailing your Apron please take three photos of your Apron. To be included in the NSW Roadshow and final Auction (March 8), please send Aprons to us by January 31st. Please mail to The Apron Project @ 3 Stephen Street, Hornsby NSW 2077. Artists in the USA may like to purchase directly through Amazon. Please wash and iron your apron before working on it. Click on this image to download for your instagram & facebook – use hashtags #apronproject2018 #hkws #eatcakecreate @hkwshelter.